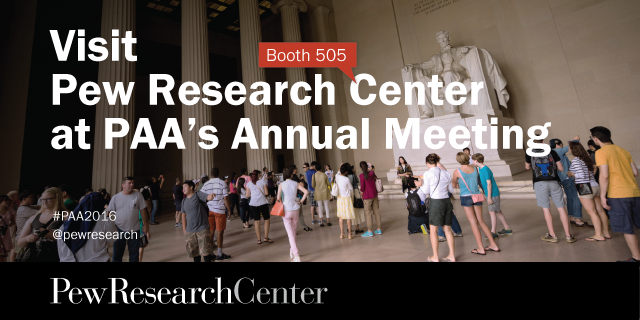 Pew Research Center will be at this year’s Population Association of America Annual Meeting in Washington. Visit us at booth 505 to meet our experts and to learn more about our work. See below for a list of our experts who will be at the booth, as well as a complete list of their presentations during the conference. Record share of Americans have never been married: Why? How might differences in immigration experiences for men and women lead to gender disparities in functional limitations for older Mexican immigrants in the U.S.?